Buying the right domain name is absolutely crucial. Domain names should include the right “broad match” keyword for your business, otherwise your website may never rank well for that search result. Let’s pretend you are a catering company and you are designing your website. The broad match is “catering” and the phrase matches then corresponds to areas in the company where they desire growth: corporate, contract catering, wedding and on-set/movie/tv adverts catering, private functions, kiddies parties, packed lunches. The phrase matches might be: Carpet Cleaning, Upholstery Cleaning, Rug Cleaning, Flood Damage Cleaning, Pre-Occupation Cleaning and Contract Cleaning. For each phrase build an optimized page for that phrase containing information which corresponds to that phrase. By doing this you are structuring your content in a way that makes it very easy for a computer to understand what it is that your business does. 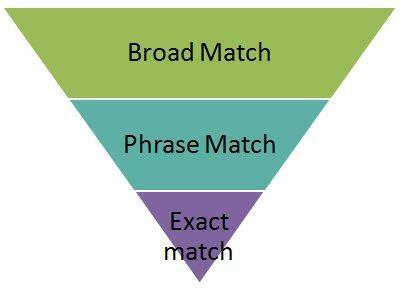 How do you find the right broad match term which matches the most searched for queries? And how do you find which phrase matches correspond to the most frequent searches? Use the Google keyword tool to do research on the top search for each of those areas so that the phrase matches the MOST searched for query. It doesn’t make sense to target less popular searches, do it? If customers do 14,800 search per month for “caterer cape town” then the targeted phrase must be exactly that, not something else. If you already have a website, then redesign all your pages to focus on the broad search phrase and after that build more pages to highlight your company and your products by using phrase matches.